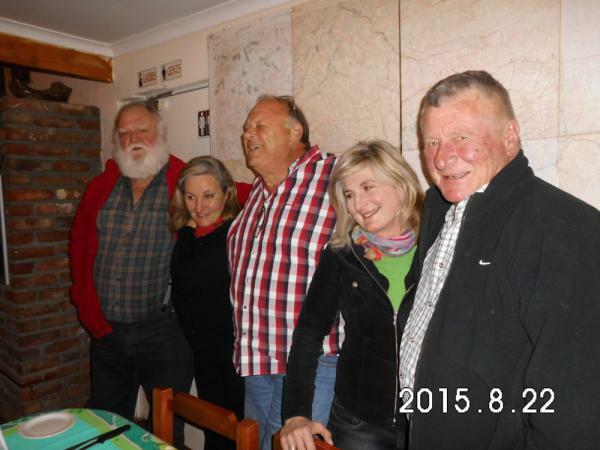 Founder members Marius and Debbie Robertsen, Basie and Carien Vosloo and Dave Walker were unfortunately not joined by founder members Grant and Cathy Sephton but made the most of the occasion nonetheless together with many other members. It was also an opportunity to highlight the contribution that the association’s activities have made to the local economy. Day permit sales since inception in 1991 to June 2015 amounted to almost R1,1 million of which more than R800 000 was disbursed to riparian members, the balance being used to administer the organisation. Based on the number of permits sold, extrapolated accommodation and local spend figures plus the value of the permit sales amounted to a contribution to the local economy over the period of almost R18 million! By all accounts, the evening was enjoyed by all and it is hoped that it will become a regular feature of the annual events calendar in Rhodes.